The Trump administration, the countdown to Brexit, escalating cyber threats and mounting regulatory pressures are heightening worldwide geopolitical and economic volatility, resulting in considerable uncertainty across the post-trade industry. Indeed, for many post-trade players, it is difficult to recall a more uncertain period than today. With financial markets uneasy and prone to swings, the post-trade space is looking for straightforward answers to complex questions. According to Juliette Kennel, head of securities at SWIFT, the three most significant issues currently enveloping the post-trade industry are cyber security, new technology and standards, and regulation. One of the major legislative developments impacting the industry is the new post-trade reporting requirements under the revised Markets in Financial Instruments Directive (MiFID II) and Regulation (MiFIR), which are scheduled to take effect from 3 January 2018. The directive and regulation introduce a new category trading venue – the Organised Training Facility (OTF) – for bonds, structured finance products, emissions allowances and derivatives. With the aim of increasing the transparency and efficiency of EU financial markets, under the new requirements, every multilateral system which is not a regulated market or a multilateral trading facility (MTF) will be considered an OTF. One of the biggest challenges facing the post-trade industry is the lack of regulatory clarity in trade reporting standards. 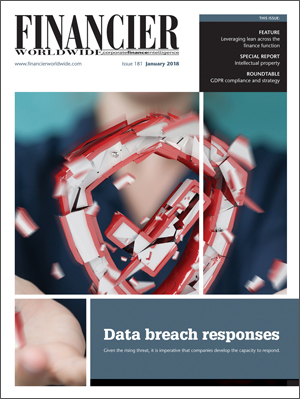 Indeed, the lack of standardisation and consistency in reporting requirements within and across jurisdictions has led to concerns about the quality of the data being reported – prompting calls for a harmonisation of reporting standards across borders. Indeed, post-trade in the eurozone is undergoing a major transformation. Much of this is being driven by the likes of TARGET2- Securities (T2S), the CSD Regulation (CSDR) and the emergence of new technologies such as distributed ledger technology (DLT), often referred to as blockchain – all of which are having a disruptive effect on post-trade securities processing operations. Across the industry, the adoption of technologies such as blockchain and artificial intelligence (AI) can do much to improve how post-trade business is managed. However, these processes are not yet the finished article, and a number of issues need to be resolved before they can really hit their stride. Many post-trade players suggest that a common set of standards based on ISO 20022 – a standard for electronic data interchange between financial institutions developed by the International Organization for Standardization (ISO) – should be agreed to coordinate blockchain and other technologies. Clearly, the post-trade industry is facing myriad challenges. Yet the industry has always been able to adapt to adversity and is likely to do so again. For example, the post-trade industry in Europe has already demonstrated its ability to lead change by harmonising market practices, adopting ISO 20022 and delivering a common settlement platform. Going forward, how these challenges, and others to follow, are met in the years to come may well be the difference between a post-trade services world that is evolving, rather than struggling.